Written by Felipe Azenha & filed in Community, Scene on the Street, Urbanism. CPWD does not love the 305. 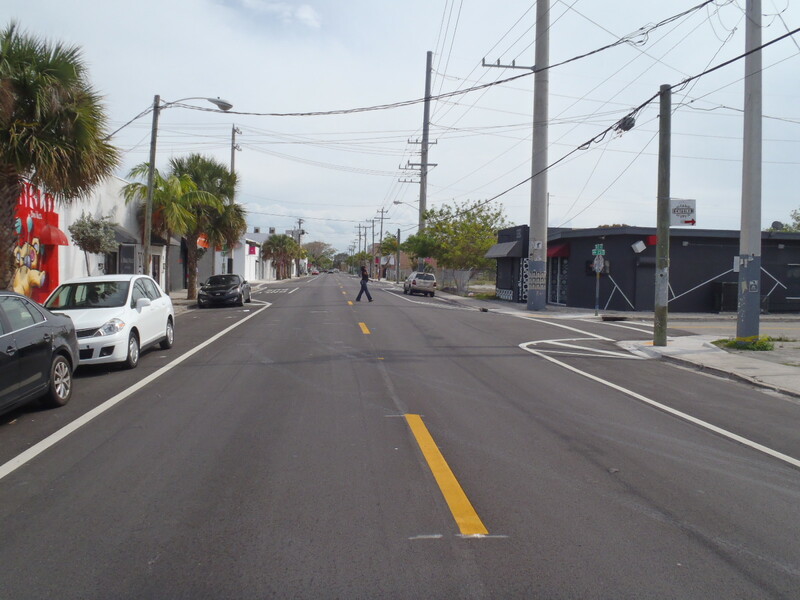 The County Public Works Department just completed a resurfacing project on NW 2nd Avenue from NW 20th Street to NW 36th Street. Sadly pedestrians only have 4 crosswalks where they can safely cross NW 2nd Avenue for these 16 blocks. 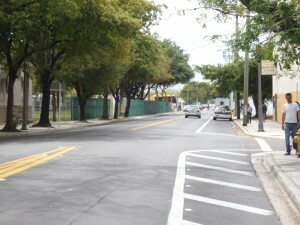 The crosswalks are located at NW 20th Street, NW 29th Street, NW 31st Street and NW 36th Street. Wynwood is growing and pedestrian activity is increasing; yet the CPWD clearly is not thinking about growth or pedestrians. NW 2nd Avenue is Wynwood’s “Main Street” and the CPWD has turned a blind eye to its responsibility of making streets safe for everyone. How on earth does the CPWD get away with only four crosswalks for 16 blocks in the middle of our city? The design of this street is completely criminal and treats pedestrians like second-class citizens. Pedetrians are forced to jaywalk because there aren't crosswalks. Pathetic performance CPWD. NW 2nd Avenue has many art galleries, a school, a park, restaurants, a coffee shop, stores, single-family homes, and apartments; it is densely populated with a lot of street activity, especially the area north of NW 29th Street. Common sense dictates more crosswalks. With each passing day, it becomes even more apparent that the CPWD has no idea how to design a proper street. 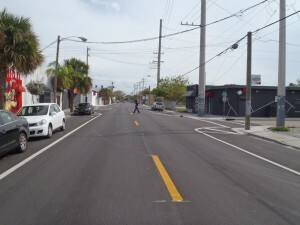 The private sector is investing heavily in Wynwood, however the public sector needs to be an active participant to develop successful streets. The bare minimum is no longer an option. This is unacceptable-there should be a crosswalk at every intersection. 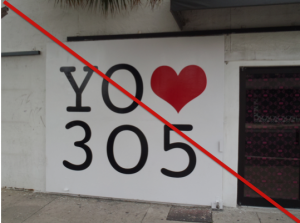 Where is the love for the 305 CPWD? Time to get with the program.